Willa Cather (born Wilella Sibert Cather; December 7, 1873–April 24, 1947) was a Pulitzer Prize-winning American writer who gained acclaim for her novels capturing the American pioneer experience. Willa Cather was born on the farm of her maternal grandmother, Rachel Boak, in the poor farming region of Back Creek Valley, Virginia, on December 7, 1873. The oldest of seven children, she was the daughter of Charles Cather and Mary Cather (née Boak). Despite the Cather family having spent several generations in Virginia, Charles moved his family to the Nebraska frontier when Willa was nine years old. After spending about eighteen months attempting to farm in the community of Catherton, the Cathers moved into the town of Red Cloud. Charles opened a business for real estate and insurance, and the children, including Willa, were able to attend formal school for the first time. Many of the figures in Willa’s early life would appear in fictionalized form in her later novels: most notably her grandmother Rachel Boak, but also her parents and her friend and neighbor Marjorie Anderson. As a girl, Willa found herself fascinated by the frontier environment and its people. She developed a lifelong passion for the land and befriended a wide array of the area’s residents. Her curiosity and interest in literature and language led her to forge connections with immigrant families in her community, especially older women who remembered the “Old World” and who delighted in telling young Willa their stories. Another of her friends and mentors was the local doctor, Robert Damerell, under whose guidance she decided to pursue science and medicine. Willa attended the University of Nebraska, where her career plans took an unexpected turn. During her freshman year, her English professor submitted an essay she had written on Thomas Carlyle to the Nebraska State Journal, which published it. Seeing her name in print had a huge impact on the young student, and she shifted her aspirations immediately towards becoming a professional writer. While at the University of Nebraska, Willa immersed herself in the world of writing, particularly journalism, although she also penned short stories. She became the editor of the university’s student newspaper while also contributing to the Journal and to the Lincoln Courier as a theatre critic and columnist. Quickly, she gained a reputation for her strong opinions and sharp, intelligent columns, as well as for her dressing in masculine fashions and using “William” as a nickname. In 1894, she graduated with her B.A. in English. In 1896, Willa accepted a position in Pittsburgh as writer and managing editor for Home Monthly, a women’s magazine. She continued to write for the Journal and the Pittsburgh Leader, mostly as a theatre critic, while running Home Monthly. During this period, her love for the arts brought her in contact with Pittsburgh socialite Isabelle McClung, who became her lifelong friend. After a few years of journalism, Willa stepped into the role of teacher. Fom 1901 to 1906, she taught English, Latin, and, in one case, algebra at nearby high schools. During this time, she began publishing: first a book of poetry, April Twilights, in 1903, and then a short story collection, The Troll Garden, in 1905. These caught the eye of S.S. McClure, who, in 1906, invited Willa to join the staff of McClure’s Magazine in New York City. Willa was extremely successful at McClure’s. She ghostwrote a notable biography of Christian Science founder Mary Baker Eddy, which was credited to researcher Georgine Milmine and published in several installments around 1907. 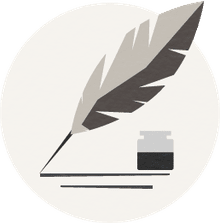 Her position as managing editor earned her prestige and the admiration of McClure himself, but it also meant that she had significantly less time to work on her own writing. On the advice of her mentor Sarah Orne Jewett, Willa left the magazine business in 1911 to focus on fiction. Although she no longer worked for McClure’s, her relationship with the publication continued. In 1912, the magazine published, in serial, her first novel, Alexander’s Bridge. The novel was well-reviewed (although Willa herself would, later in life, consider it a more derivative work than her later novels). Her next three novels cemented her legacy. Her “Prairie Trilogy” consisted of O Pioneers! (published in 1913), The Song of the Lark (1915), and My Ántonia (1918). These three novels centered on the pioneer experience, drawing on her childhood experiences of life in Nebraska, the immigrant communities she loved there, and her passion for the untamed land. The novels included some autobiographical elements, and all three were celebrated by critics and audiences alike. These novels shaped her reputation as a writer who used plain but beautiful language to write thoroughly American romantic literature. Dissatisfied with her publisher’s lack of support for her novels, Willa began publishing short stories with Knopf in 1920. She would eventually publish sixteen works with them, including her 1923 novel One Of Them, which won the 1923 Pulitzer Prize for the Novel. A subsequent book, 1925’s Death Comes for the Archbishop, also enjoyed a long legacy. At this point in her career, Willa’s novels were beginning to move away from epic, romantic tales of the American prairie to stories that leaned into the disillusionment of the post-World War I era. As the 1930s rolled around, literary critics soured on Willa’s books, criticizing them for being too nostalgic and not contemporary enough. She continued to publish, but at a much slower pace than before. During this time, she received honorary degrees from Yale, Princeton, and Berkeley. Her personal life also began to take a toll. Her mother and the two brothers with whom she was closest all passed away, as did Isabelle McClung. The bright spot was Edith Lewis, the editor who was her closest companion from the early 1900s until her death. Scholars are divided as to whether or not the relationship was romantic or platonic; Willa, a deeply private person, destroyed many personal papers, so there is no certain evidence either way, but scholars of queer theory have often interpreted her works through the lens of this partnership. Willa’s personal life remained something she kept closely guarded, even after her death. Willa despaired over the coming conflicts of World War II, and she began to have issues with an inflamed tendon in her writing hand. Her final novel, Sapphira and the Slave Girl, was published in 1940 and marked a significantly darker tone than her previous works. In 1944, the National Institute of Arts and Letters awarded her the gold medal for fiction as a mark of her lifetime of literary achievement. In her final years, her health began to decline, and on April 24, 1947, Willa Cather died of a cerebral hemorrhage in New York City. 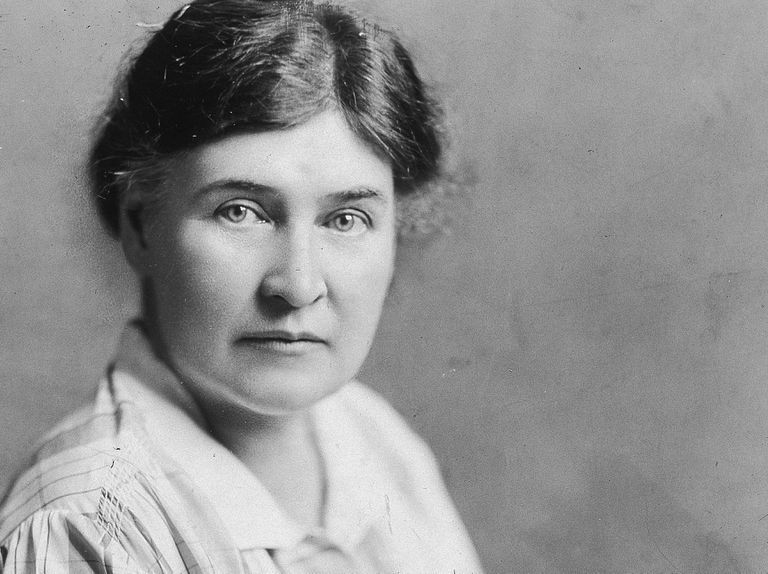 Willa Cather left behind a canon that was both plainspoken and elegant, accessible and deeply nuanced. Her portrayals of immigrants and women (and of immigrant women) have been at the center of much modern scholarship. With a style that encompassed sweeping epics along with realistic depictions of frontier life, Willa Cather’s writings have become iconic pieces of the literary canon, both in America and worldwide. Ahearn, Amy. "Willa Cather: A Longer Biographical Sketch." Willa Cather Archive, https://cather.unl.edu/life.longbio.html. Smiley, Jane. "Willa Cather, Pioneer." The Paris Review, 27 February 2018, https://www.theparisreview.org/blog/2018/02/27/willa-cather-pioneer. Woodress, James. Willa Cather: A Literary Life. Lincoln: University of Nebraska Press, 1987. What Happened That Caused Sylvia Plath to Commit Suicide?